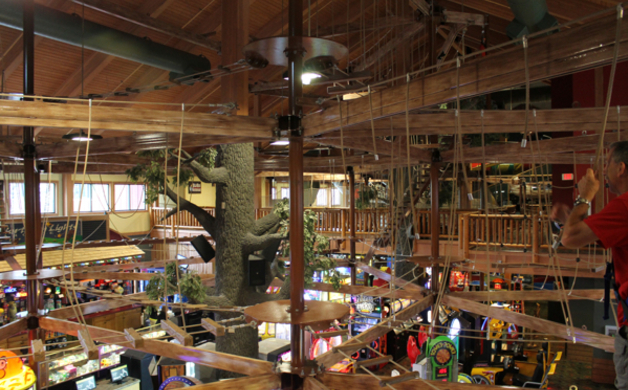 Earlier this winter we posted a story featuring the latest and greatest attractions at the Wilderness Hotel & Golf Resort in the Wisconsin Dells. 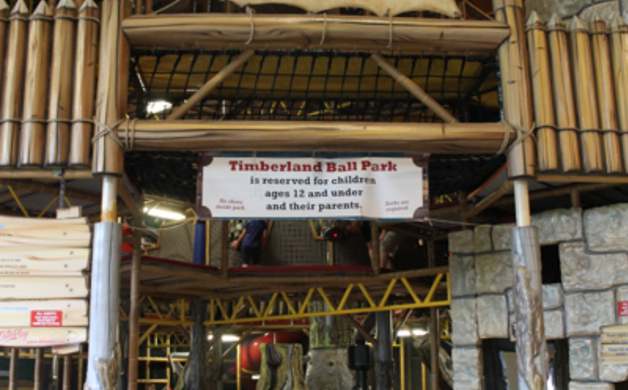 With everything up and running, save the Wilderwoods Go-Kart Trail (debuting late July), our family recently visited the resort with the intention of enjoying some of the property’s “dry” attractions. 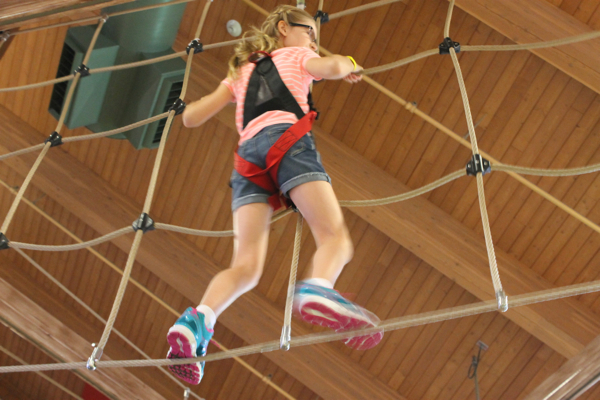 To begin, the new OK Corral Lazer Tag Arena and Marshall Training Lazer Maze were a both a HUGE hit with the kids. 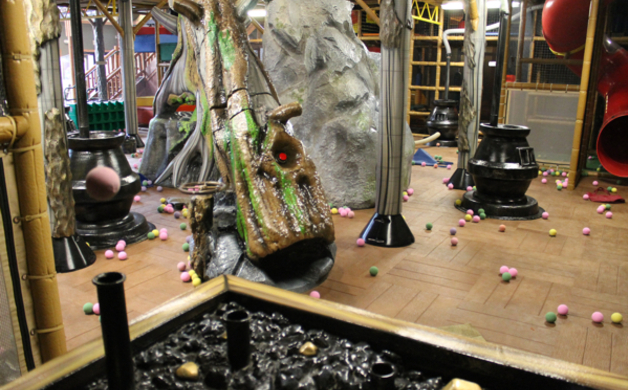 The lazer tag arena features a 4,000 square foot lazer tag course spread out over two stories. Up to 30 players can compete at one time (a perfect “friendly competition” activity for large groups and family reunions). 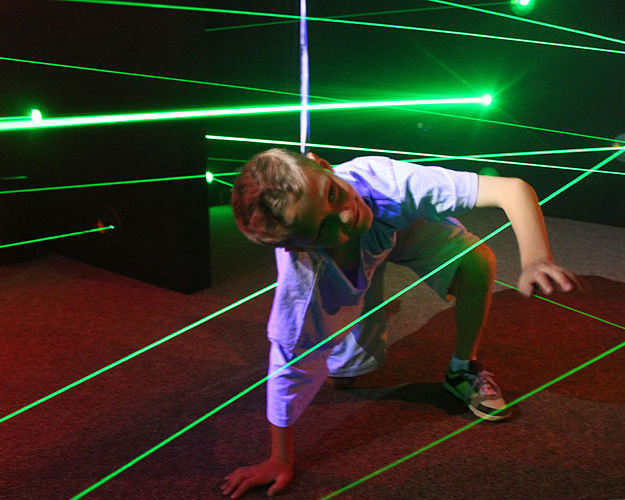 The Marshall Training Maze involves speed and agility as players race against the clock as they navigate through a maze of crisscrossing lazer beams. Played solo or in a team of two players, participants can advance with their skill level as they get the hang of the game. 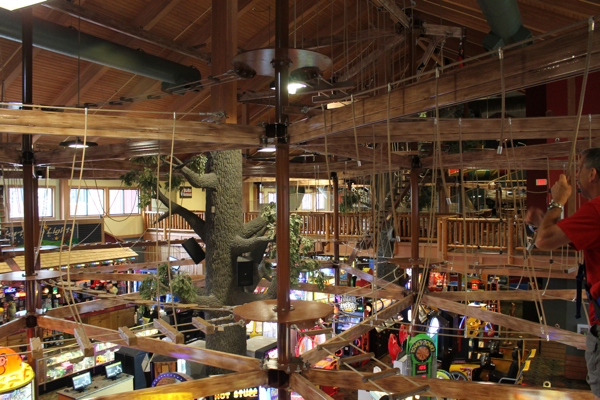 Hands down this is our new favorite thing to do in The Dells—good luck trying to get your kids to play just once. While both of these lazer-themed games can be enjoyed as stand-alone attractions, both are included on the Wild Fun Pass, a money-saving way for guests to enjoy seven of the Wilderness’s most popular attractions during their stay. 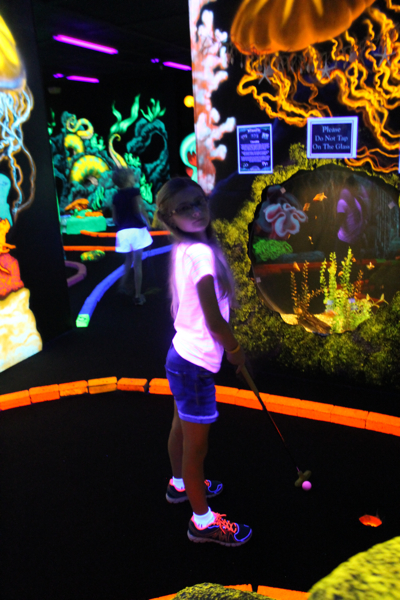 At $24.95, the pass includes one admission to one admission to the Northern Lights Sky Ropes Course; nine holes of black light 3D mini-golf at the Wild Buccaneer; nine holes of black light 3D mini-golf at the Wild Abyss; one bumper boat ride at the Wild West Bumper Boats; one game of laser tag at the OK Corral Lazer Arena and Marshall Training Lazer Maze; one admission to Wilderwoods Go-Kart Trail (opening soon, our passes had a “Bonus Re-Play” of any of these attractions as a placeholder); and $1 off a hand-blended ice cream temptation at Pistol Pete's Beans & Ice Cream. 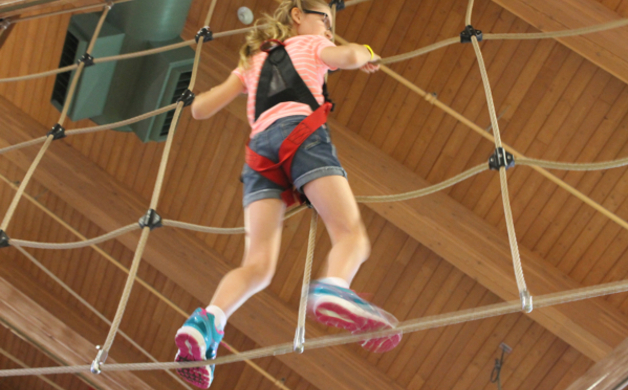 Located above the Northern Lights Mega Arcade in the Wild West portion of the Wilderness Resort, the Northern Lights Ropes Course features 42 different challenges and is perfect for elementary-age kids and teens. Climbers are given 30 minutes to venture over, across, up, down, and around the course. 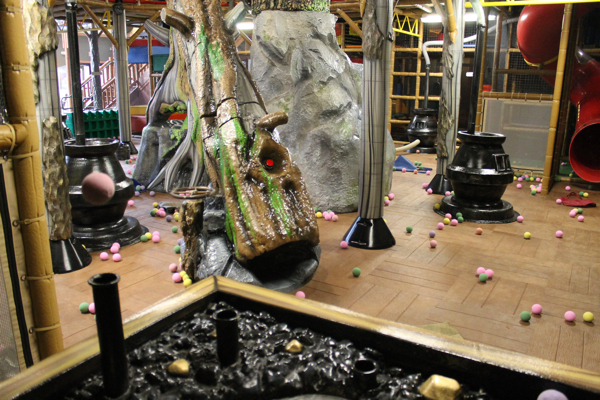 Also located near the Northern Lights Mega Arcade are the Wild Buccaneer and Wild Abyss 3-D mini golf courses. 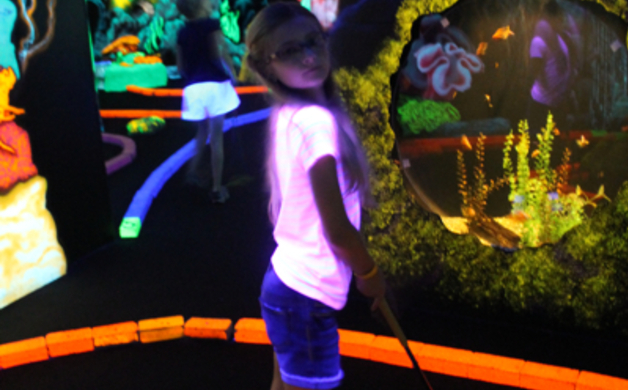 Both courses feature 9-holes of golf; we choose the Wild Abyss and while the course was not the most technical, the neon-colored graphics, realistic sea creatures, and giant (real life) fish tanks made are a fun backdrop for some groovy souvenir photos. 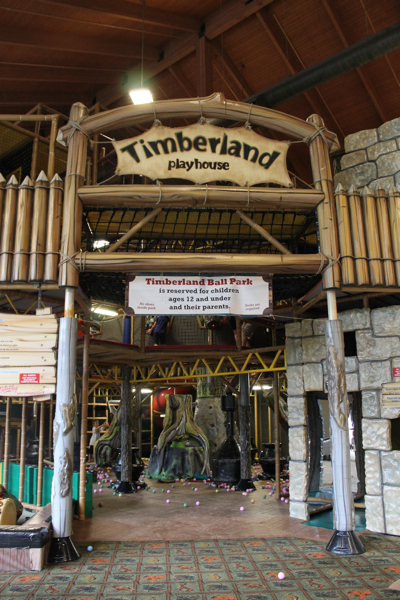 If your kids are 12 or under, make sure to let them burn off steam at the nearby Timberland Playhouse, an indoor climbing structure with twisting slides, obstacles, and blasting cannons for soft foam balls (there’s also a row of squishy, toddler-sized equipment located closer to the “time out” chairs for moms and dads). 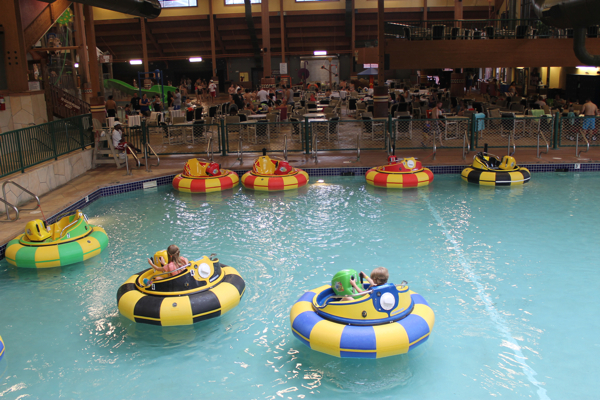 For guests who want to get wet (but not soaked), the Wild West Bumper Boats (located inside the Wild West Indoor Waterpark) is a nice compromise. 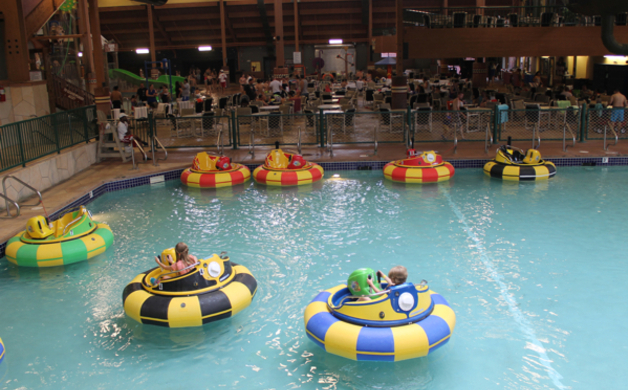 A “classic” summertime activity, bumper boats is perfect for kids of all ages. An upgrade to the Wild Fun Pass is the EXTREME Fun Pass (at $4 more, for $29. 95) and includes all of the activities on the Wild Fun Pass with the addition of the one Go-Kart or Kiddy Kart Ride at Lost World Go-Karts, 18-holes of golf at the Lost World Outdoor Mini Golf, and $10 off one admission at the Wilderness Canyon ZipLine Tour. Note that the outdoor attractions are typically closed from late October to late spring, depending on the weather. You can also read about our waterpark adventures in this story.